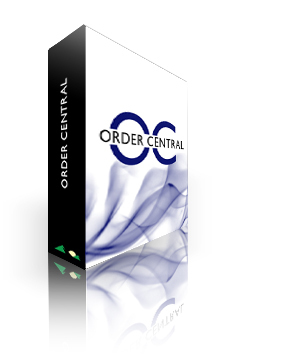 Order central is a full featured shopping cart system integrated with Dynamics SL. No need to re-key data. Orders are entered immediately into Dynamics SL which allows you to fulfil quicker for happy customers. Because Order Central is integrated with Dynamics SL in realtime, there are no delays in receiving orders, pricing changes, order status, etc..
Get your orders fulfilled and notify your customer its on the way quicker and more efficient. This saves you time and money since you don't have to re-key or use troublesome TI jobs. Order Central is also multi-language, multi-catalog, has complex multi-level categorization and searching, multi-users per customer, and much more. Uses customer pricing, terms, shipto addresses, and other information tied to your customer in Dynamics SL. Save money by allowing your customers to lookup their own order status, view and pay invoices, manage their shipto addresses, etc. without tying up your employees answering phone calls and emails. Order Central has a plethora of features including: saving shopping carts, order templates, surveys, customizable emails, promo-codes, queuing, advanced security, digital downloads, gift registries, and more. You can also customize Order Central using ASP.NET so if it doesn't currently do what you want, you can make it happen! Order Central is also built to be customized. You can use your programmers or use Catalina Technology or one of their partners to modify Order Central to fit your business best. Specifications for server requirements and recommendations to setup and install an OrderCentral system. Form to be filled out for new OrderCentral installations. Used to specify much of OC functionality and installation settings.